Lahore: 09-02-2016: Pakistan Muslim League’s senior central leader and former Deputy Prime Minister Ch Parvez Elahi has said that restrictions on Tableeghi Jamaat are enmity with the Islam, there is no such ban on Jamaat anywhere in the world including United States, Russia and India. He strongly condemned the ban while talking to media at his residence here today. Raiwind Ijtema is the second biggest gatherings of Muslims after Hajj and no Muslim can accept such restrictions on Tableeghi Jamaat. He said Nawaz government has banned the Tableeghi Jamaats in educational institutions only to please Moodi. 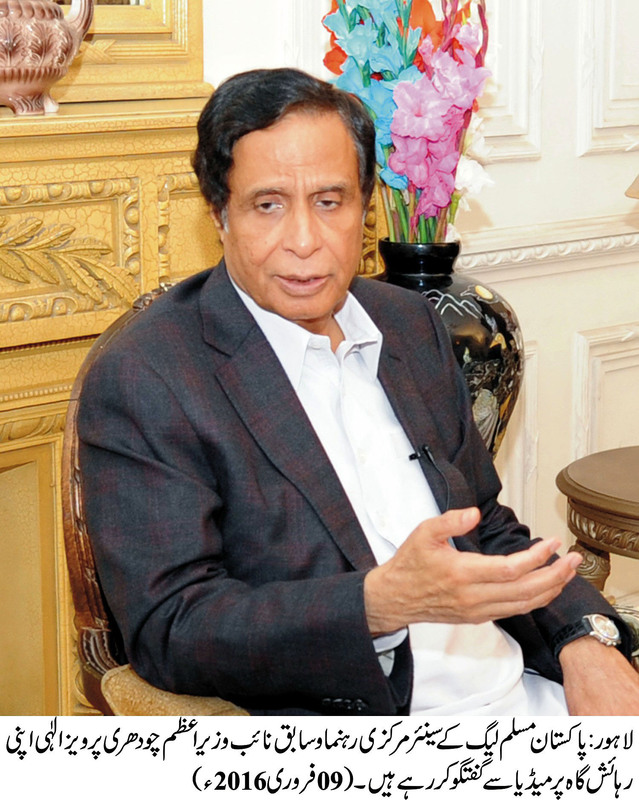 Ch Parvez Elahi further said main characteristic of Tableeghi Jamaats is to teach Islam and peace. Every Muslim condemns such restrictions as no one can ban the teaching of Islam.